“Terminator Genisys” had the potential to be the best of the story, wholly original and able to stand on it’s own, without referencing any of the past “Terminator” films. Sadly I’d be expecting too much from the studios and writers for that to become a reality and because the film tries to be all the Good Terminator films it fails to stand wholly on it’s own. 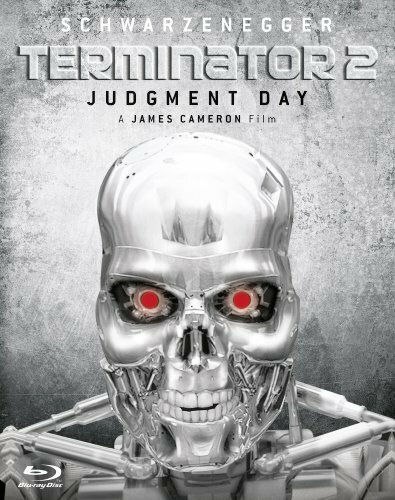 It isn’t the worst of the “Terminator Franchise” by any means and it is enjoyable in it’s own right, but it falls short because it lacked the confidence to continue on threads that weren’t dependent on past films. The film was directed by Alan Taylor, written by Laeta Kalogridis and Patrick Lussier and produced by David Ellison and Dana Goldberg. 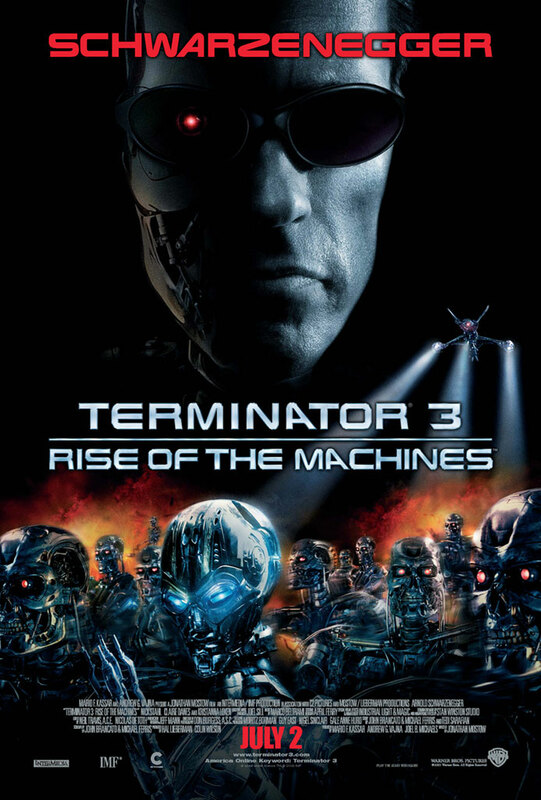 The story involves John Connor (Jason Clarke) leading the final assault on Skynet headquarters in the Post-Apocalyptic future of 2029. He suceeds but not before Skynet sends back the T-800 (Arnold Schwarzenegger) to terminate Sarah Connor (Emilia Clarke). He decides to send back Kyle Reese (Jai Courtney) in order to protect her. When he returns to 1984 he finds a Terminator has already been sent back to protect Sarah and the timeline has changed. It is up to them to stop Skynet before it comes online as the Timeline is in flux and the future has changed. The Pros: The Action – The action is really good in this. 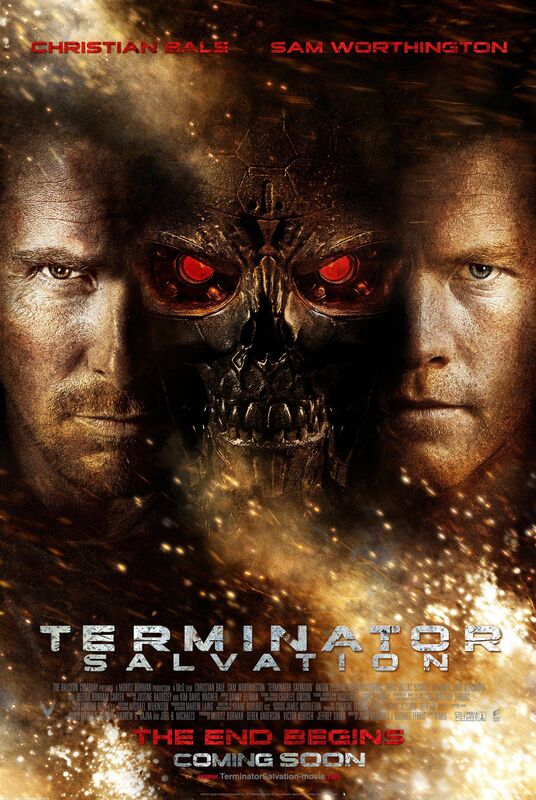 From the battle to reach Skynet’s Time Machine and shut down the core, to Pops against The Terminator and Pops, Reese and Sarah against the T-1000 and later on the fights against John Connor as the T-3000. Each fight was really well done and a pleasure to watch. The Special Effects – The Special Effects are the best they’ve been. When the original Terminator travels back in time he looks nearly like how Arnold looked as he did in 1984. The Terminators also look great too having a dangerous and sleek look to them. The Final Assault on Skynet – This is the story that I wish the movie had been. I wish we could have witnessed the consequences of the war like we did in “Salvation” and how it had shaped John Connor into someone who was willing to take any risks to defeat the machines and to live. In the end the decision to send Kyle Reese back is made as Skynet’s Avatar attacks and turns John Connor into a Terminator. It’s really cool and if that had been the film with the resistance dealing with the consequences of that it would have been perfect and possibly the best in the series. J.K. Simmons – Plays a cop who is saved by Reese and pays them back later when the T-3000 is trying to kill them all. His character is wonderful as the one who has seen the robots but no one believes him. I liked the character and it was a nice touch that was different from the other films. Detective O’Brien is a great character. Arnold Scharzenegger – Arnold is the best part of this film. We see him save Sarah Connor at the beginning and that he has developed an affection for her. 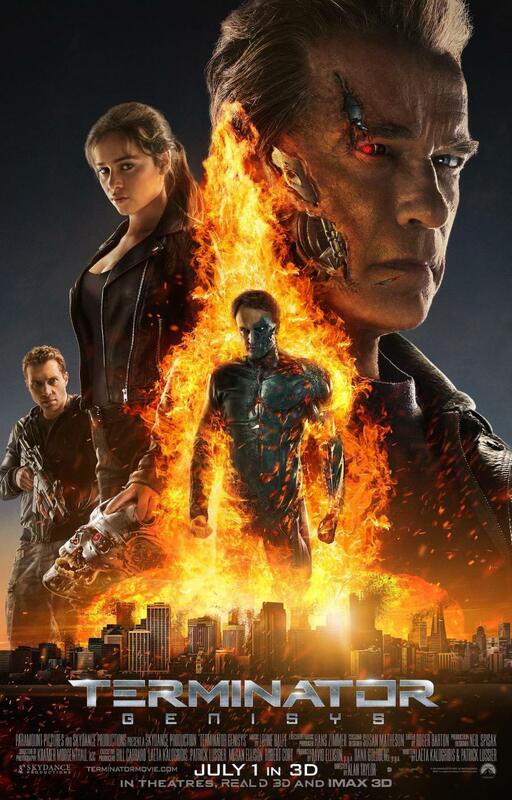 It is the most range I have seen Arnold do and he truly is great at this role (Minus “Terminator 3”). Pops – Pops is the protector and Guardian of Sarah Connor and saved her as a child. We see that his goal is to protect her and stop Skynet (like the one sent back in “T2”) and to this end he trains and prepares her for the arrival of Kyle Reese and “The Terminator.” When the Terminator arrives together they kill it and later he gets upgraded when he falls into the liquid good of the T-1000s in the final battle against the T-3000. He develops an affection for Kyle Reese and a sense of humor too. The Terminator/T-800/Pops – This role is small but Arnold is great at looking and acting threatening, beating down Pops and nearly killing him if not for Sarah Connor’s sniper shot. It was a great though his defeat kind of defeated the purpose of Skynet’s last ditch effort to save itself…though the writers kind of ignore that when they throw in the T-1000 in the same timeline and later the T-3000. He is called Pops by Sarah. Jason Clarke – Jason Clarke is carrying this movie with Arnold and lends a lot of humanity to the role of John Connor as someone trying to make a difference and survive in a cruel world where humans are going extinct. This leads to some tough decisions that come back to bite him later. Clarke is great as the threatening T-3000 too. 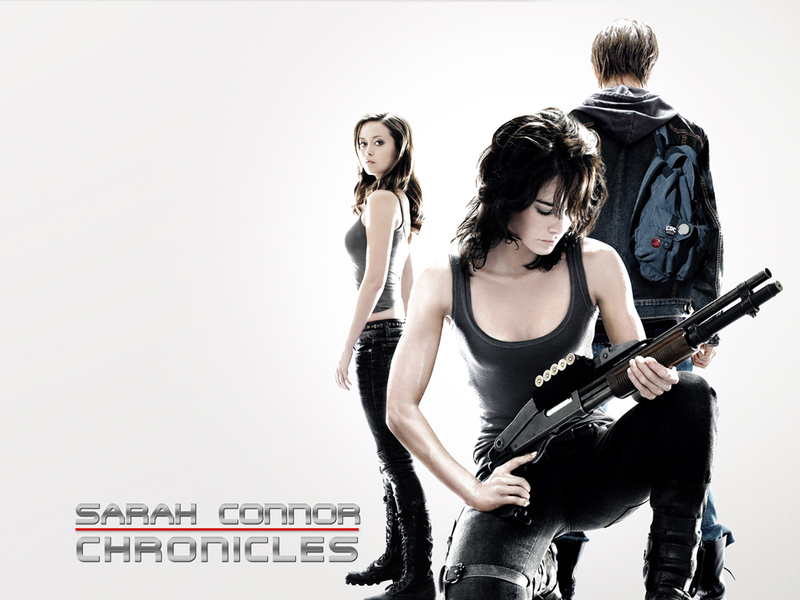 John Connor – John Connor is a man on the brink who has lost so much and forced his soldiers to make tough choices. This has cost him a lot and at the end when he is victorious his one moment of joy costs him his conscience as he is turned into a Terminator and no doubt turned on his own men he was protecting. T-3000 – The T-3000 is a Nano Terminator and is one of the best of them as he can mimic almost perfectly and has all the knowledge of Skynet and John Connor. It takes everything to defeat him including Skynet’s last resort Time Traveling Machine to finally end the threat. Okay: The Ending – Pops gets upgraded and everyone is in 2017. It was way too happy for me as we see Sarah and John begin to hook up, Pops respect Reese and Reese talk to his younger self and give him hope for the future. If they have sequels planned I have no idea how they will pull it off. There are no evidence of Terminators and everything feels done now without opening more cans of worms in the Timeline(s). Also, somehow the Skynet system core survived? I guess it fits the theme of survival of the story but we shouldn’t need an after credits scene to know that it does. That’s a bit too important to leave until after the credits. The Cons: Kyle Reese – Jai Courtney can’t act. He is super generic and dull as a character and either has a blank expression or annoyed expression (sadly like Emilia Clarke in this film too) and the focus on him just brings down the plot. I didn’t care about his character because he didn’t feel real. He felt like a plot device and not like an actual human being. Sarah Connor – Emilia Clarke like Jai Courtney is terrible in this. She is flustered most of the time and she feels shoe horned in. We don’t see her arc to become a badass she just is that way because of Pops. She also doesn’t have much of an arc. She learns to love and not fear I guess but always loved Pops anyway so the arc is irrelevant and a poor attempt to hook her up with Reese for plot reasons. Sarah Connor and Kyle Reese Romance – These two have no chemistry. Any times where there was supposed to be sexual tension felt contrived and tacked on and it felt like Emilia and Jai were just going through the motions. Plot Holes – Who sent Pops back? How was the T-1000 around in 1984? How was T-1000 sent back to kill Sarah Connor as a child? Are Time Machines around everywhere in the future? Are the Terminators from other Timelines? The plot is a mess if you think too hard on it, so major con. Too Many Time Machines – See the plot holes above. Even Pops is able to build a Time Machine….which runs counter to the fact that in “Terminator 2” they were designed to only kill and couldn’t think on a deeper level. Now everyone has a Time Machine so story has no consequence. Everybody lives! This was a film that would have worked if we stayed in the future, or ended with Kyle Reese being sent back. From there the story would have been complete without having to explain the Old Terminator and hiding the fact that the writers don’t know who sent him back. 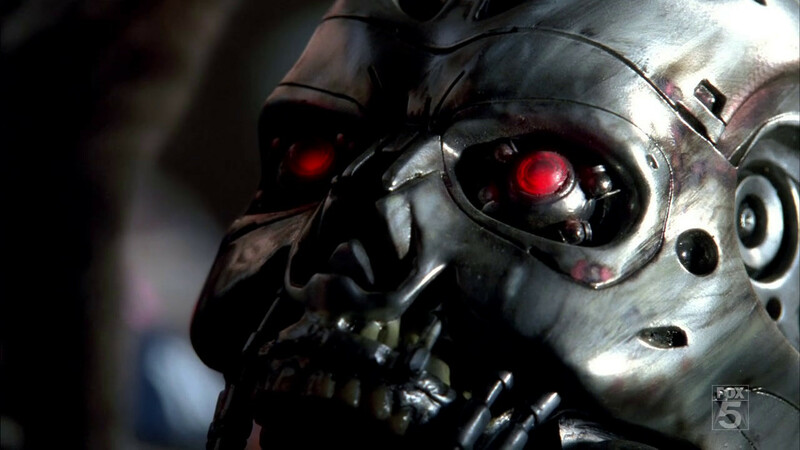 We could have still had a good Terminator, the good Terminator could have protected John Connor after being reprogrammed and it having to kill John Connor after Skynet possess him, instead we get the entire timeline rebooted with Skynet pretty much destroyed and Reese and Pops alive. We get a story with no consequences with gaping plot holes, though I won’t deny the ride is enjoyable and Jason Clarke and Arnold are top of their game in their roles. Final Score: 6 / 10. 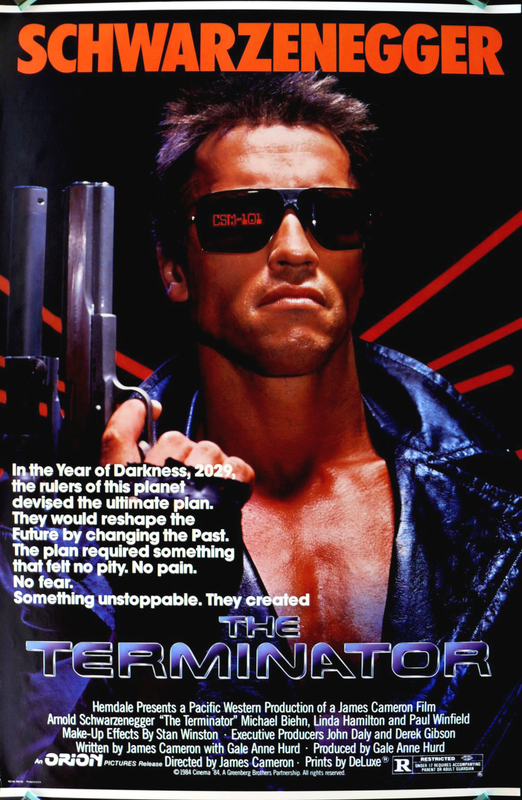 Would have been the best if we had just stuck to the future and consequences of the war on Skynet and filling in the blanks for “Terminator” and “T2,” without creating more plot holes in the Timeline (and creating more Timelines).